Sunday, March 24: Minnesota forward Kelly Pannek shoots the puck on net during the Gophers' 2-0 loss to Wisconsin in the national championship. 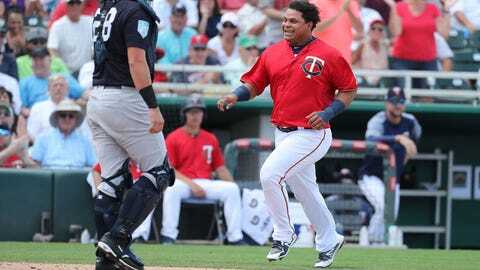 Sunday, March 24: Willians Astudillo smiles as he crosses home plate during the Minnesota Twins' 5-3 loss to the New York Yankees in spring training. 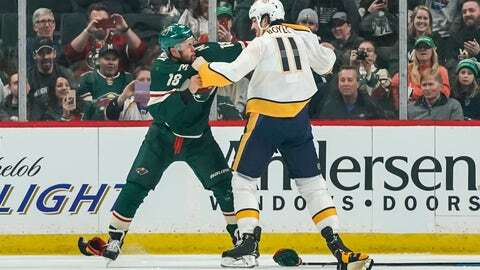 Monday, March 25: Wild forward Jordan Greenway fights Nashville Predators forward Brian Boyle during the first period at Xcel Energy Center. Tuesday, March 26: Dario Saric poured in 18 points in the Minnesota Timberwolves' loss to the Los Angeles Clippers at home. 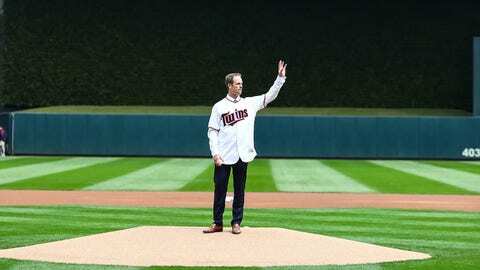 Thursday, March 28: Former Minnesota Twins first baseman Justin Morneau acknowledges the crowd before a game against the Cleveland Indians at Target Field. 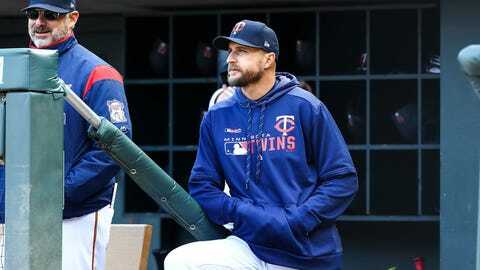 Thursday, March 28: Minnesota Twins manager Rocco Baldelli looks on in the bottom of the sixth inning against the Cleveland Indians at Target Field. Thursday, March 28: Minnesota Twins center fielder Byron Buxton celebrates after hitting a double in the bottom of the sixth inning against the Cleveland Indians at Target Field. 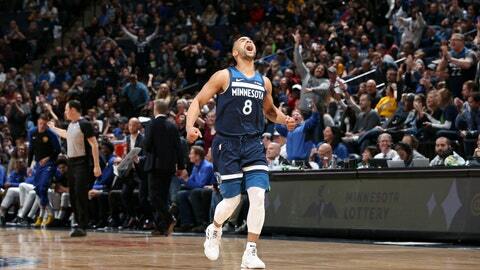 Friday, March 29 Jerryd Bayless reacts after making a three in overtime in the Timberwolves' win over the Golden State Warriors. 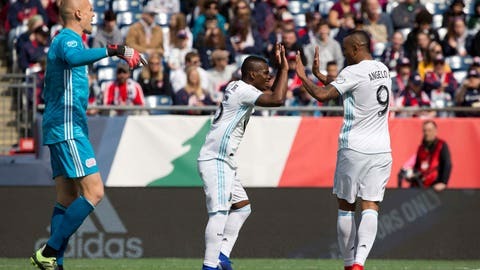 Saturday, March 30: United forward Darwin Quintero celebrates his penalty kick goal with forward Angelo Rodriguez. 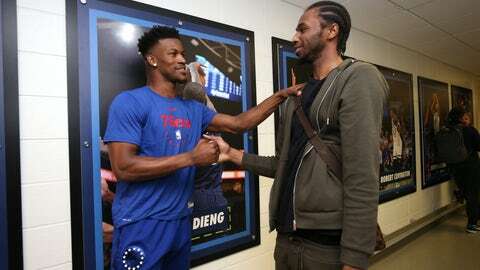 Saturday, March 30: Wolves' Andrew Wiggins talks with 76ers' Jimmy Butler during Butler's first return to Minnesota since being traded earlier in the season.